After waiting what seems like an entire lifetime for the sun to come, we Brits seem to lose all common sense when it comes to enjoying ourselves in the hot days of Spring & Summer. When we are not forgetting to apply sun protection, we are misplacing, dropping, splashing and smashing our devices to oblivion. With a bit of forward thinking, you can avoid water damaged iPads, cracked screens and missing phones. We tested some of the latest gadgets to save your devices from the embarrassment of being spotted on Brits Abroad. Here are our favourites. A leading brand when it comes to mobile device protection, US based OtterBox has been making cases since 1998 for all makes and models. We tested the Defender Series on the iPad Mini and recreated various ‘whoops’ moments that included a 4ft drop and splashing of water. While OtterBox don’t claim that the case is waterproof, you should be okay during the common ‘knocked-over-my-drink’ scenario. The case is made up of a screen protector, polycarbonate inner and silicone outer layer. Despite all that, the combination of iPad and case is still pretty light considering all the protection that is offered. The Defender is available for most devices will protect your device against drops, dust and scratches. It also comes with a clever stand that attaches to the case to offer even more protection. 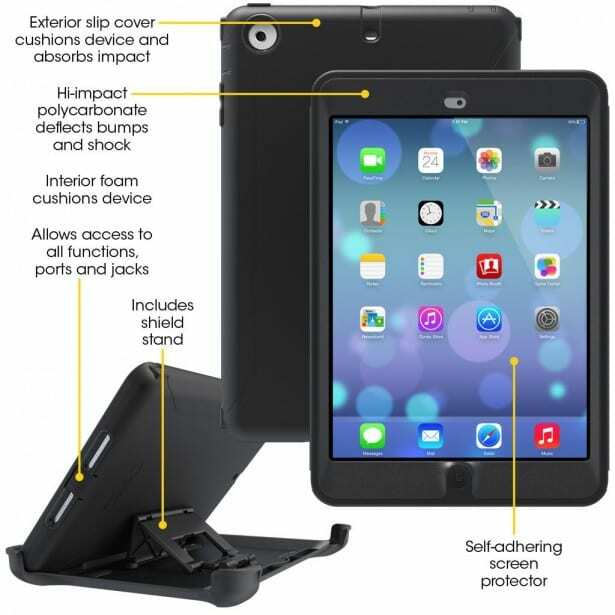 Getting the case off for the first time will require patience (start bottom up) but as that is the only issue we had, the iPad Mini Defender Series Case gets top marks. In a world filled with Bluetooth speakers it can be hard to stand out. The SuperTooth Disco 3 manages this firstly giving you an option of six colours including an eye catching candy pink, secondly by having a ridiculously long battery life. The 12w speaker is defiantly shaped and can perch confidently in the centre of a room commanding attention. It’s only 546 grams so it’s not exactly heavy, but it is one of the bulkier speakers on the market so lacks the portability of the BeeWi we previously reviewed. The sound justifies the size however and the DISCO3 is very loud – certainly loud enough to for a small room or tent. It’s not the most bass heavy of speakers but it’s a good all around performer. The DISCO 3 battery life is beyond amazing. If you’re blasting tunes at full volume you’ll only get 3-4 hours but if you’re a considerate neighbour playing at a moderate level you’ll be rewarded with 15 hours of playback time. It may be large and heavy but that’s because the Anker Astro Pro2 packs quite a punch. 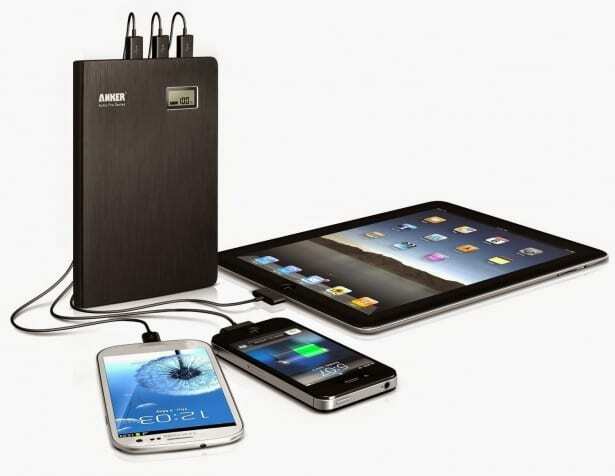 According to the manufactuer Anker, it can add 130% to 300% of battery life to a tablet, up to 600% to large-capacity phones like the Galaxy S4 and 1,000% of battery life to an iPhone. The AstroPro 2 has an LCD display that tells you what percentage of power your charger has left. And its three USB ports (it can charge three devices simultaneously) use a technology called PowerIQ that Anker says results in fast charging.